The IMS-4310 Dual Relay Output Module allows you to control two devices from any IMS-4000 Host or Node. Each output may be controlled either manually or automatically. Each output has the option of providing either a dry relay contact or 12VDC power. Two switches located inside the device select the output type. 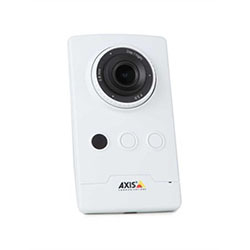 The Axis camera is a small wireless network camera ideal for monitoring your small business property, data center, or residence. The camera can be used in combination with the IMS-1000 or IMS-4000 systems to send camera snapshots via e-mail when alarms are detected. 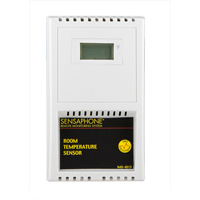 The IMS-4810 temperature sensor is designed to connect to the Sensaphone IMS series product line and monitor indoor temperatures. The electrical connection between the sensor and IMS unit is made via RJ-45 patch cable (not included). The sensor may be mounted either on a wall or to a single-gang electrical box. 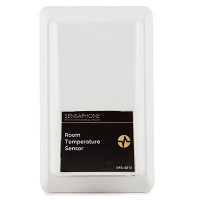 The IMS-4811 temperature sensor is designed to connect to the Sensaphone IMS series product line and monitor indoor temperatures. The electrical connection between the sensor and IMS unit is made via RJ-45 patch cable (not included). The sensor may be mounted either on a wall or to a single-gang electrical box. The IMS-4811 includes a LCD display for local readings. 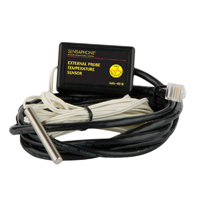 The IMS-4812 Mini Temperature Sensor is designed to connect to the Sensaphone IMS series product line and monitor temperatures in tight locations (for example, inside equipment racks). The electrical connection between the sensor and IMS unit is made via the attached RJ-45 patch cable. The sensor may be secured inside equipment using double-sided tape (included) or with tie-wraps. 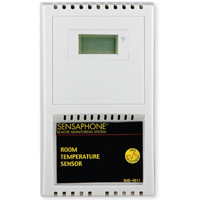 The IMS-4813 temperature sensor is designed to connect to the Sensaphone IMS series product line and monitor indoor temperatures. The electrical connection between the sensor and IMS unit is made via RJ-45 patch cable (not included). The sensor may be mounted either on a wall or to a single-gang electrical box. The IMS-4813 includes a LCD display for local readings. The IMS-4814 Ultra Low Temperature Sensor is designed to connect to the Sensaphone IMS product line and monitor temperatures in refrigerators or freezers. The electrical connection between the sensor and IMS unit is made via the attached RJ-45 patch cable. The sensor probe may be secured inside equipment using the included clamp or it may be hung using tie wraps. Do not install the black plastic enclosure inside of a refrigerator or freezer. It is available with an optional NIST temperature certification. 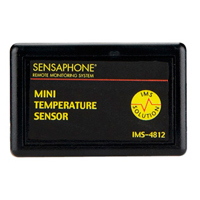 The IMS-4815 Temperature Sensor is designed to connect to the Sensaphone IMS series product line. The glass bead filled vial will buffer any momentary fluctuations that may cause a preliminary alarm such as defrost cycles, opening of doors and fans circulating air. The glass beads will slow the response time of the sensor allowing normal daily operations to occur without having an alarm initiated. 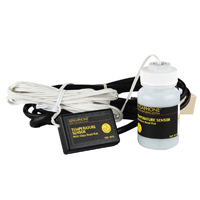 This is a highly recommended sensor for every cold storage application. The IMS-4816 Temperature Sensor with External Probe is designed to connect to the Sensaphone IMS product line and monitor temperatures in areas where a traditional sensor won't fit. The electrical connection between the sensor and IMS unit is made via the attached RJ-45 patch cable. The sensor probe may be secured inside equipment using the included clamp or it may be hung using tie wraps. Do not install the black plastic enclosure inside of a refrigerator or freezer. 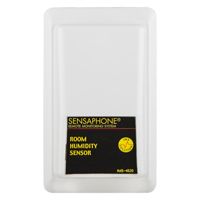 The IMS-4820 humidity sensor is designed to connect to the Sensaphone IMS series product line and monitor indoor humidity levels. The electrical connection between the sensor and IMS unit is made via RJ-45 patch cable (not included). The sensor may be mounted either on a wall or to a single-gang electrical box. 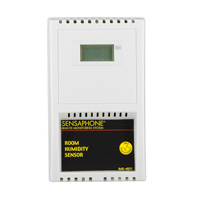 The IMS-4821 humidity sensor is designed to connect to the Sensaphone IMS series product line and monitor indoor humidity. The electrical connection between the sensor and IMS unit is made via RJ-45 patch cable (not included). The sensor may be mounted either on a wall or to a single-gang electrical box. The IMS-4821 includes a LCD display for local readings. The IMS-4830 Water Detection Sensor protects your server and equipment from damaging water leaks from malfunctioning HVAC systems, cafeteria accidents, or any general plumbing failures in your facilities. The IMS-4830 is powered directly by the IMS unit. 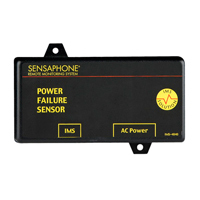 The IMS-4840 External Power Sensor lets you monitor power anywhere within your infrastructure. It reports any loss of power and measures the current voltage in the circuit, allowing you to know the status of each server rack and even of your remote UPS. Any failed generator starts are reported to you immediately. The IMS-4840 can monitor voltage from 0-250VAC 50/60Hz. The IMS-4841 15A Current Sensor lets you monitor current consumption of a particular device or circuit anywhere within your infrastructure. It reports the actual current flow in the circuit, allowing you to know the current draw from devices such as server racks, UPS and generators. Any failed generator starts are reported to you immediately. 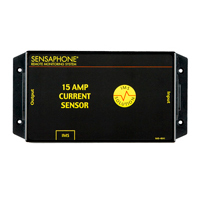 The IMS-4841 can monitor current from 0-15 amps over a voltage range from 0-250VAC 50/60Hz. The sensor comes with IEC320 C14 inlet and C13 outlet connectors. The IMS-4842 20A Current Sensor lets you monitor current consumption of a particular device or circuit anywhere within your infrastructure. It reports the actual current flow in the circuit, allowing you to know the current draw from devices such as server racks, UPS and generators. Any failed generator starts are reported to you immediately. 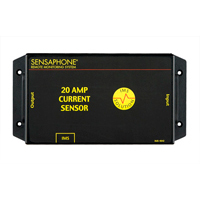 The IMS-4842 can monitor current from 0-20 Amps over a voltage range from 0-250VAC 50/60Hz. The sensor comes with IEC320 C20 inlet and C19 outlet connectors. 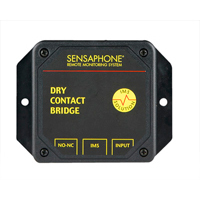 The IMS-4850 Dry Contact Bridge allows you to connect a dry contact alarm from any device to your IMS. The Dry Contact Bridge is compatible with Normally Open and Normally Closed contacts. The electrical connection between the sensor and IMS is made via RJ-45 patch cable (not included). The sensor may be mounted either on a wall or rest on the floor. 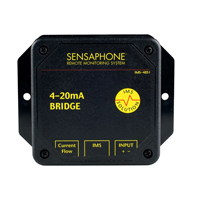 The 4-20mA Bridge allows you to connect a 4-20mA transducer to your Sensaphone IMS unit. The 4-20mA Bridge features optical isolation between the input and the IMS unit, which ensures troublefree operation and safety. The electrical connection between the bridge and IMS is made via RJ-45 patch cable (not included). The bridge may be mounted either on a wall or rest on the floor. The IMS-4860 Door Switch with bridge enables your IMS unit to detect if any unauthorized entry or intrusion has occurred. The bridge may be mounted either on a wall or rest on the floor. The switch is mounted to doors or windows you wish to monitor. The electrical connection between the bridge and IMS unit is made via RJ-45 patch cable. 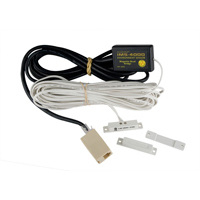 The IMS-4861 Passive Infrared Detection Sensor is a dual-element passive infrared intrusion detector for use in electronic security systems. It reduces FALSE alarms by eliminating background noises and nuisance stimuli. The IMS-4861 employs variable pulse-count adjustment, thus making it adaptable for use both inside and outside of server/equipment rooms. It is designed to connect to the IMS Host or Node. 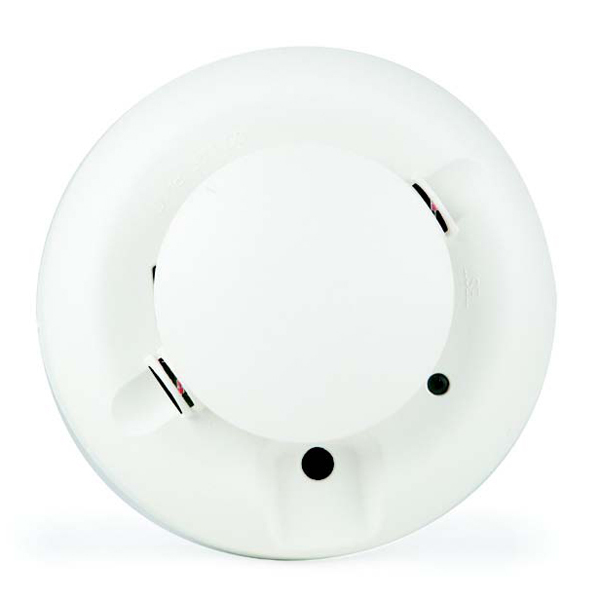 The IMS-4862 Smoke Detector Sensor is designed to connect to the IMS Host or Node and monitor for smoke in indoor environments. The electrical connection between the sensor and IMS is made via the attached RJ-45 patch cable. 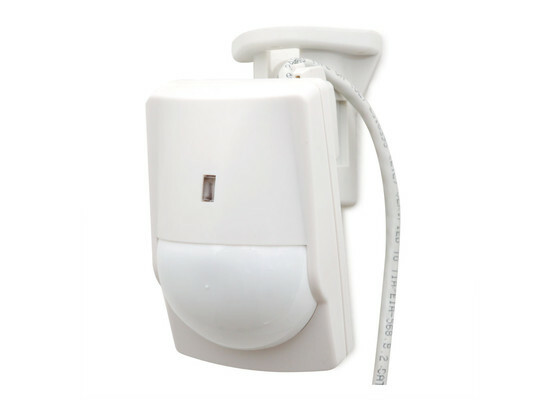 The sensor may be secured to a wall or ceiling (hardware not included). 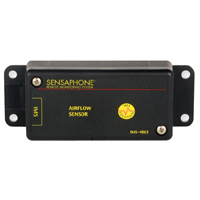 The Airflow sensor is designed to monitor for the presence or absence of cool moving air. This is especially useful for monitoring air conditioning systems. The sensor can provide relative air flow as a percentage from 0 to 100. 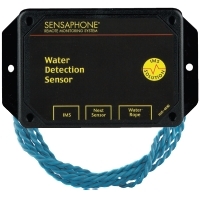 The sensor is compatible with both the IMS-1000 and IMS-4000 devices.